How long will councillors ignore concerns about illness and premature deaths caused by the city’s polluted air? They might well not wish to admit they have no answer. 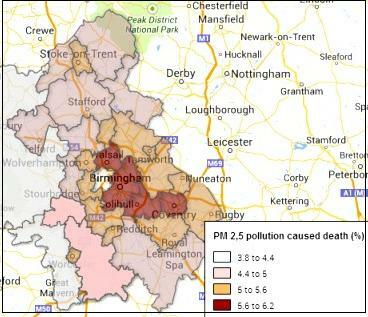 After it was reported that two Selly Oak councillors failed to answer a letter from their constituent, the FT brought news of 9,400 premature London deaths in 2010 due to air pollution, according to a study by King’s College London academics. More than 3,000 people were admitted to hospital with breathing and heart problems linked to air pollution in 2010. The economic cost of all these health problems was estimated to range from £1.4bn to £3.7bn. The study found that the pollutants were commonly found in fumes from diesel trucks, buses and cars and a significant amount of particulate pollution came from outside London, at sources such as power stations and other industrial plants on the continent. John Vidal, whose health has been affected by air pollution, describes this as a toxic soup of nitrogen oxide gases and minute particles of unburned carbon and chemicals, produced by vehicles and fossil fuel-burning central-heating systems: “PM2.5s, which get deep into the lungs and bloodstream from exhaust fumes, can greatly worsen respiratory and heart conditions such as my own, trigger heart attacks and lead to brain damage, cancers, even nerve, liver and kidney diseases”. 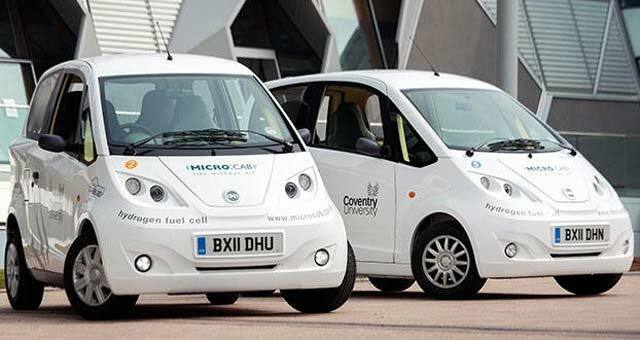 Since 2010, beneficial measures taken in the capital include setting tighter low emission zone standards; age limits for taxis and more than 1,300 hybrid buses. Volumes are now worst in congested cities such as London, Birmingham, Leeds and Sheffield. 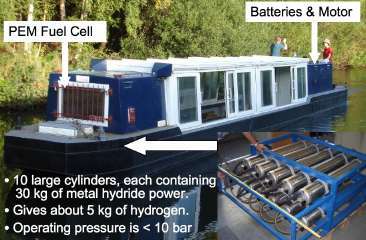 Professor Rex Harris is one of many working on clean technologies at the universities of Birmingham (below – link) and Coventry (above). Has the Environment Agency monitored the atmosphere on these platforms and assessed the health risks to the station staff and passengers? How are these factors influenced by the refurbishment? What is the particle count in the shopping area above? See an earlier exchange on a confidential reporting system, ‘a safety net for industry’: http://www.ciras.org.uk/report-library/train-operations/51127-diesel-fumes-at-birmingham-new-street/. Professor Harris refers to the supreme court’s order requiring the government to draw up a new UK air-quality plan; but though it has accepted that air pollution costs the economy up to £18bn a year, equal to a seventh of all NHS spending, John Vidal adds that government has told Europe that it will not meet legal NO2 limits in London, Birmingham and Leeds for 16 years, and in cities such as Liverpool, Sheffield, Manchester and Glasgow for 10.